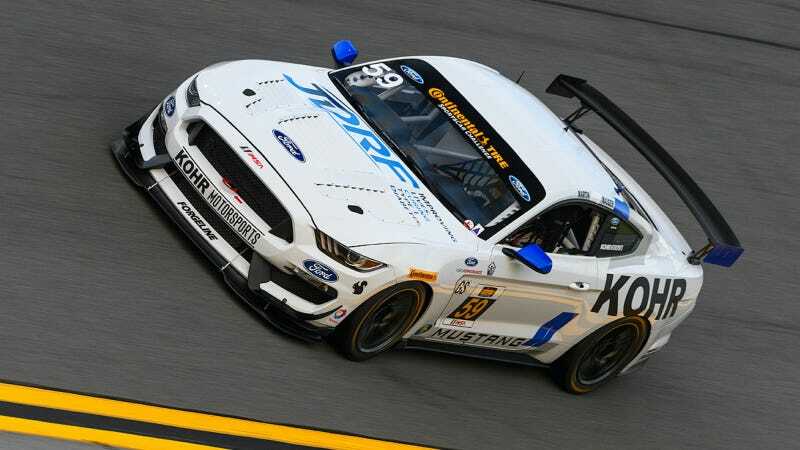 Last year’s Mustang-driving Continental Tire Sports Car Challenge title holder may have been bizarrely outlawed from driving in the series this year, but the Mustang doesn’t care. It’s still fast. Driver Dean Martin just claimed pole for this weekend’s CTSCC race in a new Mustang GT4, regardless. The Man can’t keep a good car down.